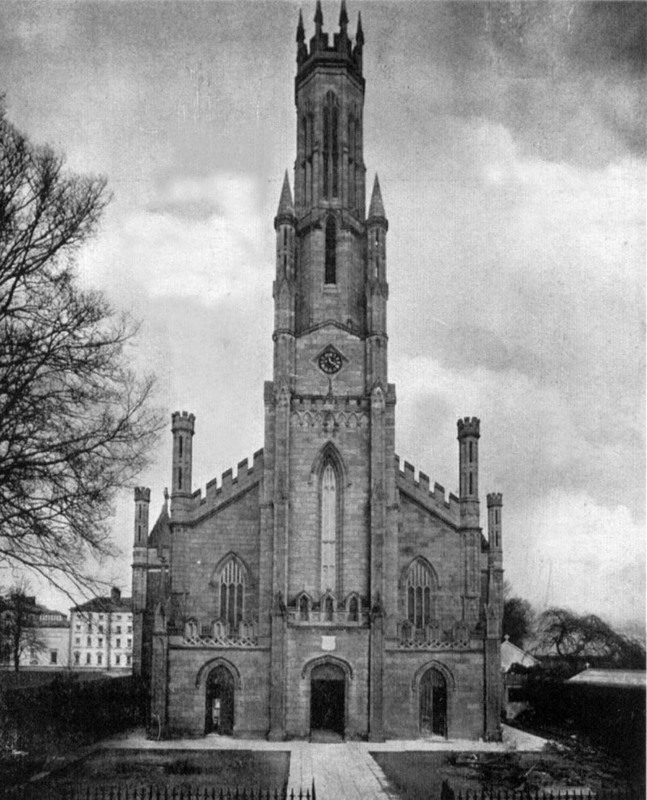 The construction of Carlow Cathedral started in 1826 under the supervision of the architect Joseph Lynch who was succeeded by the architect Thomas Cobden in 1829 who changed the design. 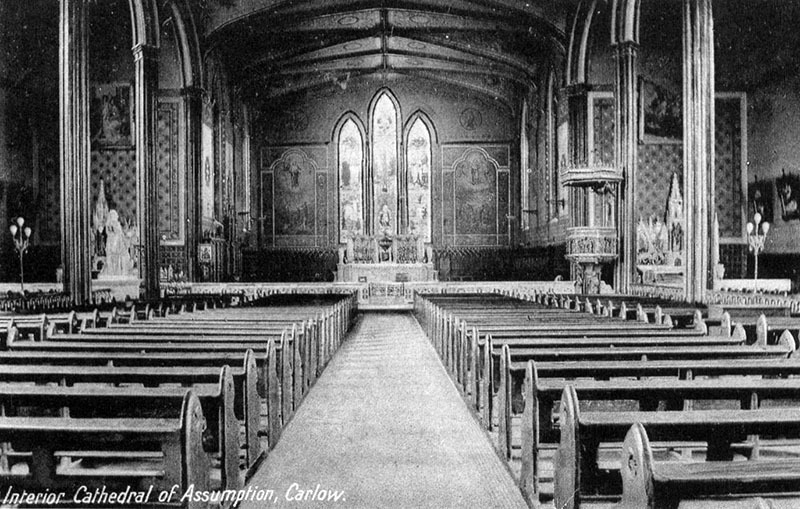 The cathedral was completed in 1833 and dedicated to the Assumption by Bishop Doyle on 1 December 1833. For the Cathedral tower, Cobden drew his inspiration from European examples, most notably the Beffroi Tower in Bruges. 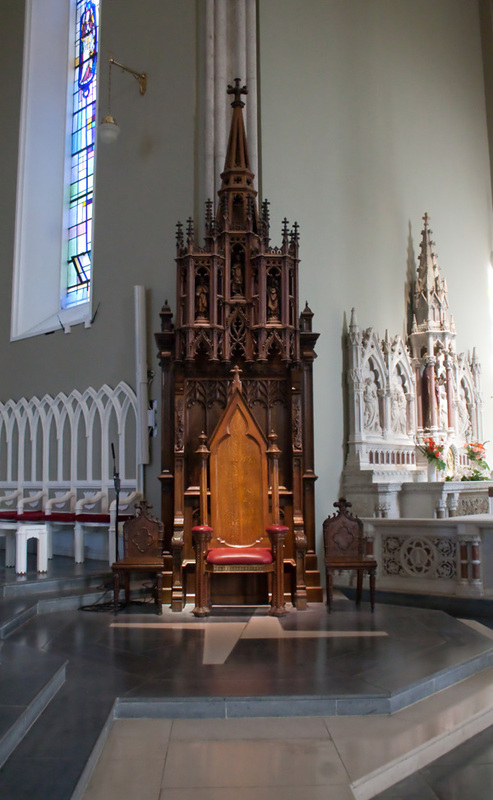 As Carlow was a relatively poor diocese, the cathedral is smaller and less ornate than many in Ireland. 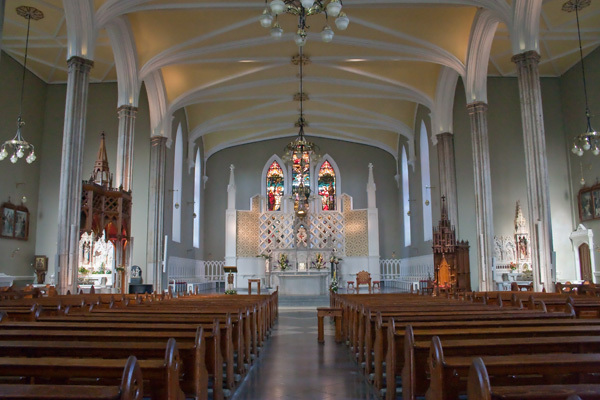 The interior was remodelled in the 1990s.